A dream car which is absolutely stunning. The Aston Martin DSB Volante finished in Quantum silver metallic with Obsidian Black Caithness leather stitched in silver. Optional specification includes; alarm upgrade with volumetric and tilt sensors, full-length Piano Black fascia, touchtronic 2 automatic gearbox, auto-dimming rearview mirror, warm charcoal seatbelts, DBS logo embroidered on the seat back, 2 + 2 seating arrangement, diamond turned silver 10 spoke sport wheels. Standard specification includes; satellite navigation, later Garmin navigation, B & O sound, Bluetooth telephone preparation, electric heated memory front seats, 6 CD autochanger, iPod capability and powerfold door mirrors. Full up to date Aston Martin dealer service history. Aston Martin unlimited 12-month warranty will be included in the sale price. Full personalised video of this car is available upon request. The BMW M4 Coupe offers stunning performance, style and practicality in such an engaging sports car. These cars have blistering acceleration and a incredible handling from a mastered chassis created by BMW. This M4 has a DCT transmission with paddle shift. Finished in Yas Marina blue with Ivory white leather seats. 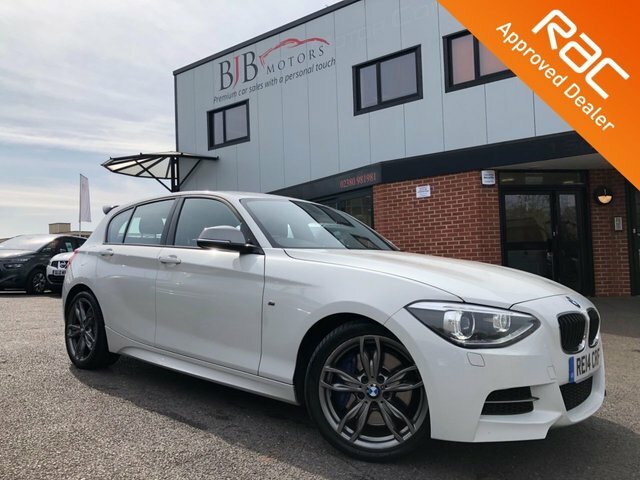 This has a monster spec which includes; 360 camera, reversing camera, heads up display, Harmon Kardon, sat nav, Bluetooth, DAB, carbon interior plus much more. Totally HPI clear of finance, accidents, mileage checked, report present and printed for the new owner. Just been serviced at BMW and had 4 brand new tyres less than 20 miles ago. BMW service pack until 2020. Backed up with a full service history. Comes with all original manuals, wallet, service book, previous MOT's and invoices for work carried out. Drives with no faults as expected with a genuine, well maintained example. MOT'd until 30th March 2019. The Audi feels special as soon as you press the start button. A great engine is at the heart of this car's appeal. It fires into life with a mighty V8 rumble, and sounds good on the move too. Finished in Phantom black pearl effect paint and sitting on 19 inch 7 twin spoke alloy wheels. 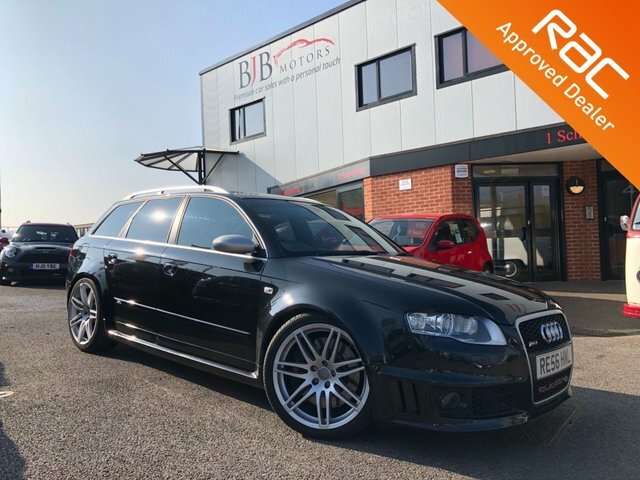 This RS4 has a great spec which includes; xenon headlights, parking sensors front and rear, auto lights, electric windows, electric seats, climate control, full black leather, heated seats, Bose sound system, cruise control, sat nav and more. Totally HPI clear of finance, accidents, mileage checked, report present and printed for the new owner. 3 owners. Comes with all original manuals, wallet, service book, 2 keys, previous MOT's and invoices for work carried out. Drives with no faults as expected with a genuine, well maintained example. MOT'd until 10th March 2022. 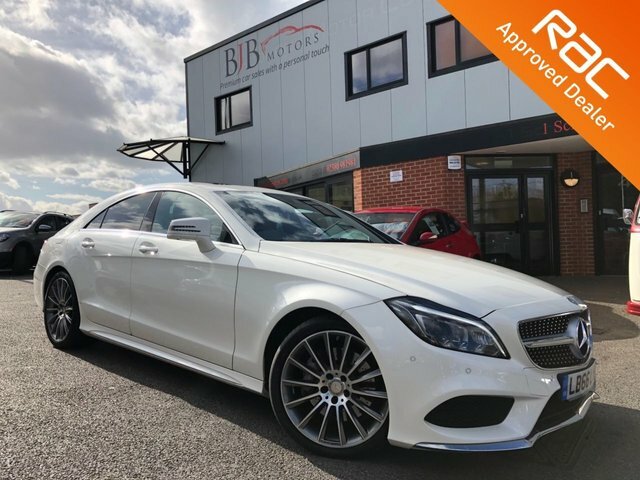 Get the best deal on a used car for sale in Chandler's Ford and Southampton by calling into BJB Motor Company Ltd today. We have a wide range of quality used cars for sale here, in a range of models, with all our stock competitively priced, so you should have no problem sourcing a pre-owned car to suit your budget. As one of only a handful of RAC Approved Dealers in the area, we also include six month's RAC Platinum Warranty as standard with all applicable cars to give you added peace of mind. Feel free to look through the wide range of used cars we have online, and if you have any questions, don't hesitate to contact one of our friendly and knowledgeable members of staff for more information. Also, if you don't see a car available here, we can source cars specific to requirements, so do contact us for more information. If you prefer, you are more than welcome to drop into our showroom in Chandler's Ford, Eastleigh, Hampshire and take a closer look at the selection of used cars we have for sale. Finance is available to UK residents aged 18 years or older, subject to status. Terms & Conditions apply. Indemnities may be required. Other finance offers may be available but cannot be used in conjunction with this offer. We work with a number of carefully selected credit providers who may be able to offer you finance for your purchase, commission may be received. We are only able to offer finance products from these providers. Postal Address: BJB Motor Company Ltd, 1 School Lane, Chandlers Ford, Eastleigh, Hampshire SO53 4DG. Find contact details here.